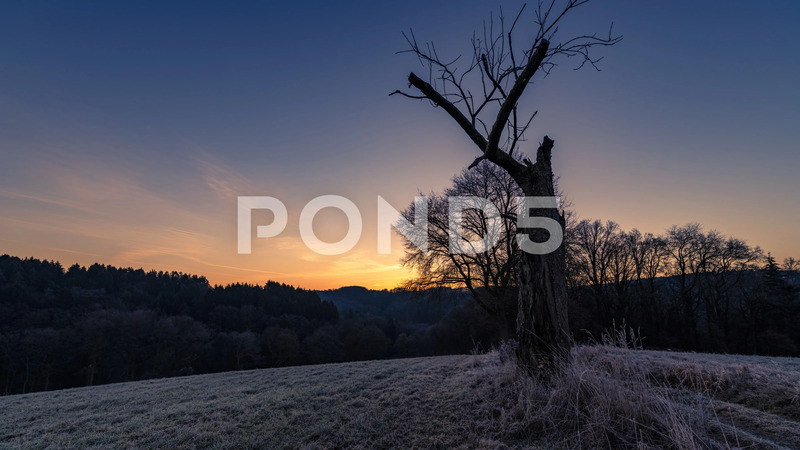 Description: Pan tilt dolly timelapse of the sun rising behind trees on a meadow on a cold morning. Shot in 8K and encoded in ProRes4444 for maximum image quality. 8K version of this asset has ID 100427637.